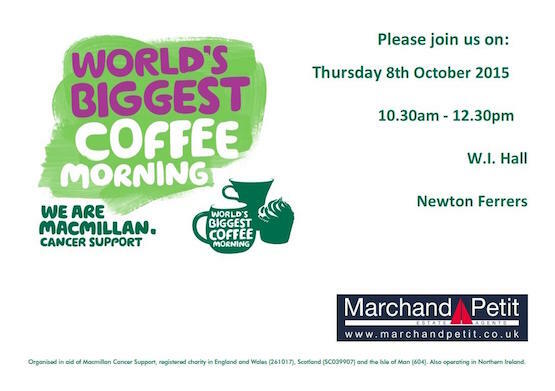 In October 2015 Marchand Petit's Newton Ferrers office took part in the World's Biggest Coffee Morning in the WI Community Hall Newton Ferrers. It was a privilege to host this special event - the World's Biggest Coffee Morning - a perfect excuse to catch up over a cuppa and a slice of something yummy – and it was all for a great cause, Macmillan Cancer Support. We loved seeing you all there!